With a whole batch of songs captured when Chris Stapleton and producer Dave Cobb recorded at the historic RCA Studio A (A Room), From A Room, Volume 2 offers a second installment following the release of Volume 1 earlier in 2017. Many of the tracks on Volume 1/2 have been with Chris for many years through his main gig as a songwriter in Nashville prior to his debut solo album, Traveller. As a working musician, Chris Stapleton has put in overtime with over 1,000 songs in his catalogue from his Music Row work as well as a former member of The SteelDrivers and The Jompson Brothers. 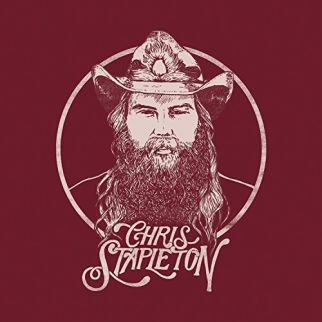 From A Room, Volume 2 showcases Chris Stapleton’s ability to let a song find its own path, the soundtracks to the stories offer musical nods to Classic Country as “Hard Livin’” steps back in time to when Outlaw Country first saddled up and rode onto the radio and “Drunkard’s Prayer” sits on a centerstage stool for the coffee shop Folk confession. Electric guitar notes scale a wall of late night Blue Jazz as Chris Stapleton sings to an after-hours empty room on “Nobody’s Lonely Tonight”. Heartache and hard times are Country music staples and From A Room, Volume 2 does it part to keep the traditions in place while it equally shows its heart bursting with happiness, borrowing a cut from Kevin Welch with “Millionaire”, finds an easy smile spinning for a slow dance in “A Simple Song”, and enjoys the safety of lifetime mates with “Friendship”. Assisted by producer Dave Cobb on acoustic guitar, Chris headed into Studio A with longtime backing band J.T Cure (bass) and Derek Mixon (drums) and Morgane Stapleton on backing vocals. Chris Stapleton offers a lesson in the history of “Scarecrow in the Garden”, scratches out a rhythm to keep “Midnight Train to Memphis” on track, and keeps one goal in place as his life stumbles and flies when “Tryin’ to Untangle My Mind”.